The Boy Scouts of America, the Constitution and the Declaration of Independence form a terrific trio. So it’s no surprise, really, that the nonprofit Bill of Rights Institute holds an essay contest each year that’s just for Scouts. Well, and former Scouts. Current and former Scouts, age 14 to 19, can write a short essay (800 words or fewer) for a chance to win $1,000 for themselves and $500 for their Scout unit. 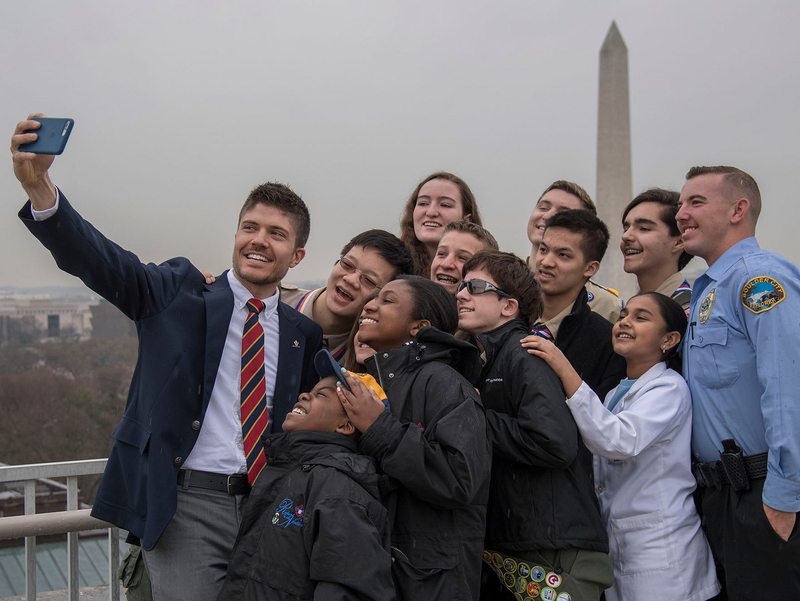 Who’s eligible: The contest is open to U.S. citizens or legal residents who are current or former Boy Scouts at least 14 years old but no older than 19. How to enter: Answer one short essay question on the ideas of the Constitution and the Declaration of Independence. Apply online and get more details: At this link. Abraham Lincoln described the Declaration of Independence as an “apple of gold” and the Constitution as the “frame of silver” which encases it. For Lincoln, the Declaration asserts the moral and philosophical standard which the Constitution aims to implement. In your analysis, to what extent does the Declaration assert a moral or philosophical vision for America? Explain the principles that constitute that vision. In your explanation, root each principle in a specific passage of the Declaration. Want something to distribute to your Scouts or post on the bulletin board? Download this flier (PDF).